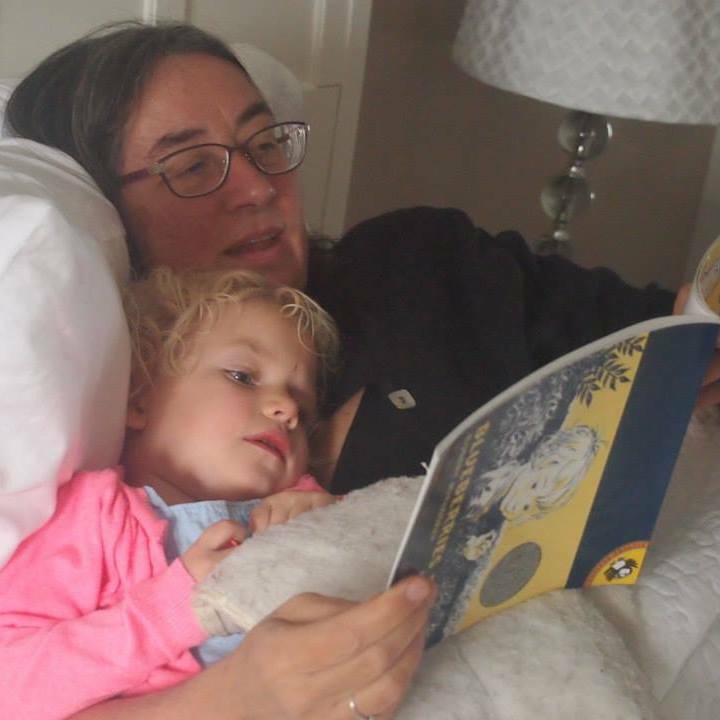 Reading to my granddaughter at nap time? Priceless. I like my coffee dark, but yowza. On the final morning of my nine-day full-time grandmothering trip, my decision to use all the remaining coffee grounds for that one last pot definitely resulted in too much of a good thing. Any one who makes coffee, or cooks with garlic, or indeed cooks or eats anything at all, knows that too much of a good thing is no longer all that good. My coffee that day was more swill than the hoped-for elixir. In positive psychology terms, it’s what Tal Ben-Shahar calls the Lasagne Principle. Tal explains that he loves the lasagne his mother cooks, and savors the opportunity to eat his mom’s lasagne on a regular basis. Regular, but not every night. Having to eat even the best lasagne meal after meal after meal would soon become altogether unappetizing. Here’s what I love: my 3 year-old granddaughter Madeleine. Living in a different state from this beloved child, I both anticipate and savor opportunities to spend quality time with her on a regular basis. However, on that nine-day trip, I began to feel as though I was having metaphorical lasagne for breakfast, lunch, dinner, and midnight snack. Morning and afternoon snacks, too. I was round-the-clock grandmothering because my daughter was attending an important professional conference thousands of miles from home. We both knew her extended time “at work” would be very challenging for Madeleine to weather. Thus, I chose to put on my “Bama” hat and help both my daughter and granddaughter flourish during their time apart. It was a good decision, and … at times, it felt like too much of a good thing. Like any metaphor, the lasagne comparison falls short. Choosing to care for Madeleine in her own environment was a great deal more textured than sitting down for a heaping helping of Tal’s mother’s lasagne. Still, I’ll carry the metaphor just a little further, perhaps to the straining point, to note that there were plenty of side dishes as well. For example, my husband Bob (AKA, “Poppa”) volunteered to come with me. He put in his regular work week at an office about 40 minutes away, but his presence in the evenings and on the weekends was immeasurably helpful — even though Madeleine continued to want my attention most of the time. Though she was especially clingy in her mother’s absence, and I was especially solicitous for the same reason, Poppa nonetheless provided respite. We can find the good in almost any difficult circumstance — or, conversely, spotlight the negative in even the best situations — by the frames we put around our experiences. One way of framing these nine days of intense child care (24-7, thanks to co-sleeping) is to label it a sacrifice. It cost us thousands of dollars to make the trip, I gave up at least $600 in paid freelance gigs (and, as I’ve mentioned in previous essays, it’s not like we have lots of spare thousand dollar bills lying around), and lots of my work did not get done (classes not planned, sermons not written, movements not organized …). It was not an inexpensive trip. Plus, I had to choose between helping my daughter get to an important professional conference or going to my own important professional conference. Goodbye, International Positive Psychology Association 2015 conference. However, there are many ways of framing this story. In most life situations — including this one –we can choose between focusing on the positive aspects instead of, or as well as, the negative. 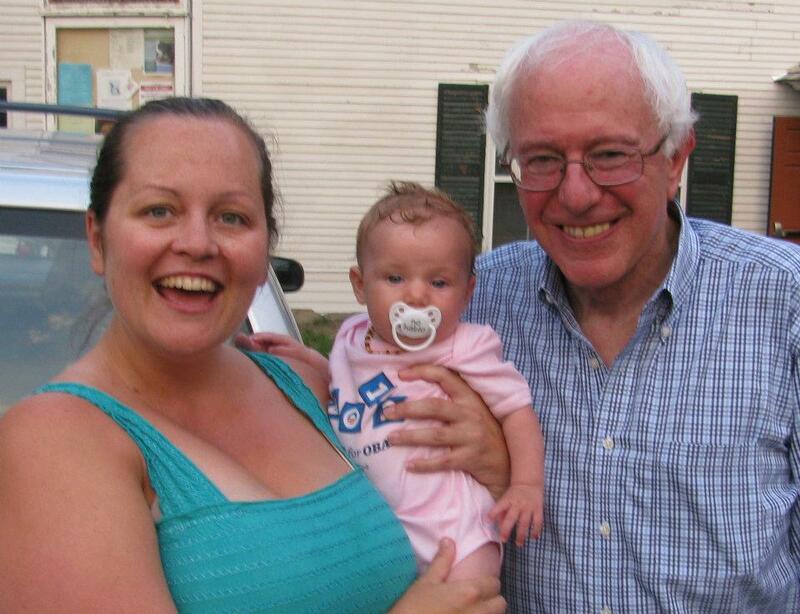 So let me reframe those nine days: what an amazing opportunity for my granddaughter and me to grow even closer. Since she and her mom lived with us for Madeleine’s first 16 months of life, we have a very tight bond. But babies — they just keep growing! And they don’t remember all the hours devoted to their infant care. Now, Madeleine may be old enough to remember the time Bama came and took care of her while Mama was away. I hope I will long remember how precious she was at this three year old stage. It’s just astonishing how fast young children develop. It will only be a few weeks till we’re together again, but I’m sure she’ll be very different already. Here’s one more frame: much of the work we do in building and strengthening relationships is, indeed, work. The same is true of parenting and, sometimes, grand-parenting. Although I disagree with the title of Jennifer Senior’s book, All Joy and No Fun: The Paradox of Modern Parenthood (because, happily, my daughter and her daughter actually have a lot of fun together), raising children is very hard work. But rather than focus on this trip as a sacrifice, I like thinking of this time as an investment — in our relationship and in helping to shape her as a happy, healthy, empathic, emotionally intelligent, and just generally awesome human being. For me, the truth of the situation meant using all three frames. I’m okay with that, life is complex. There were sacrifices and there were joys and there was hard work in the now as an investment in the future. Not a bad mix, really. Even so, after a few days I started to feel an undercurrent of unhappiness. That’s okay. I’m not one to run away from unhappiness. Though I never wish to wallow, I embrace unhappiness as part of life’s journey. However, given my perch as a student and advocate of greater happiness on both the personal and systemic levels, I often wonder at and explore my unhappiness. Plus, when I posted on Facebook that I was having some grandmothering struggles, one of my sisters expressed surprise at my complaining tone. My daughter also emailed me to ask what was going on, why was I having a hard time. Good question. First of all, we had a rough day. I had thought I could put Madeleine in day care for a few days, for her sake (I thought she might be more comfortable with some of her normal routine) and mine (I could get some work done). But when I left her at”school,” she was so distraught that I drove away shaking and close to tears. After talking with my daughter and with the school, I decided to go back and pick her up. I didn’t have to do work that day, and her pain was too big a price for me to pay. One of my favorite happiness quotes comes from Aristotle: “If you want others to be happy, practice compassion. If you want to be happy, practice compassion.” Compassion for her meant no day care during my visit. Compassion for me meant accepting the fact that I wasn’t going to get any work done. Letting go of expectations is a classic Buddhist prescription for limiting our suffering, but western happiness scientist Rick Hanson suggests the same thing. In his Foundations of Well-being program, neuropsychologist Hanson espouses the value of accepting what we cannot change. Or, in this case, choose not to change. With that acceptance, I grew calmer. Second, I thought often of Christine Carter. Carter starts her amazing book Raising Happiness (a highly recommended guide to growing deeply happy children) by emphasizing the importance of putting on our own oxygen masks first. Those nine days, I mostly could not even find my oxygen mask. Much of what I do to keep my happiness muscles toned — such as, getting a good night’s sleep, a daily meditation practice, singing in the church choir, going to yoga and bone builders classes, keeping a daily gratitude journal — fell by the wayside. I was aware of everything I wasn’t doing. Really, it was a good experiment: the absence of my happy exercises was so noticeable, it highlighted their value. Of course, on the flip side, there was more play, more touch, more laughter, and ongoing gratitude practices (something the whole family does each night at dinner). Still, if this were an ongoing situation, in order to best teach and model happiness for my grand child, I would definitely need to put that oxygen mask back on. Maybe there are some systems issues here, too. At the time, my thoughts were very focused on the internal, personal factors enhancing or detracting from Madeleine’s and my happiness. But upon reflection, I began to wonder if some of the stress and distress I was felt was because I have inevitably internalized the values of a Gross National Product paradigm. I’m not sure … but I think it’s helpful to examine just how deeply imbued those values can be, even for those of us who have been striving for years to move toward a happiness paradigm. At home, I found myself reviewing my experience through Martin Seligman’s P.E.R.M.A. lens. As usual, I found this theory of flourishing helpful. My grandmothering intensive had plenty of positivity (the “P” in P.E.R.M.A. ), though there were some tears and several very sad hours. As for “E,” I was often very engaged in our activities, though (here again there is a “but”) three year-olds like repetitive play a lot more than 60+ year-olds. Sometimes, I was just plain bored. “R,” for relationships, was nothing but strong, with both Madeleine and Bob/Poppa. Meaning, the “M” word, was also powerful. Since the point of the trip was to help my daughter’s professional development and my granddaughter’s emotional development during her mother’s absence, the entire experience was deeply meaningful. It’s the “A” that I found particularly enlightening. I realized that much of my stress came from a sense that I wasn’t accomplishing anything. Yes, yes, caring for a young child is meaningful — but it’s not like at the end of the day I could check the “done” box. I think that’s part of why I felt the pressure of wanting to do my own work. I wanted to accomplish something! I wanted to cross something off my list. Also, despite the hard work, I wasn’t getting paid for anything. This is where my questions about internalized GNP values come into play. Did I feel like I wasn’t accomplishing anything because I wasn’t contributing to the GNP? And, therefore, everything that I poured into being the best grandmother I could possibly be was less valuable to society than a wide range of other well paid activities? Certainly, I don’t think grand parenting is a high prestige occupation. I don’t have any answers. Maybe it was just me. I really do like to tick off my accomplishments at the end of the day. Maybe it is also the money- and material-oriented paradigm that hangs over us all. For me at least, it is worth taking time to think about this. As much as possible, I want my own personal decisions to be based on genuine well-being — not on accumulating more money or trying to meet GNP-oriented definitions of success. Trying to understand where the traps lie is a helpful exercise. … because I’d much rather focus on the magic. I know I am blessed to have such an awesome little human in my life, blessed to have such a strong bond of love between us, blessed to share her very precious three year old world. Each day at nap time, for example, as we lay down together, Madeleine would point to the ceiling and whisper in a tone of awe, “Look! There are millions and millions of stars!” Then we found stars of various colors. She always captured the purple one, brought it down from the heavens, and put it in her belly. When Poppa joined us for this activity, he grabbed a blue one, and put it in her pocket. Fortunately for me, there was another purple star for me to reach. I put mine in my heart, for more loving kindness. Our last afternoon together of this trip, Madeleine predictably caught another purple star, but unpredictably, put this star in her heart, for more loving kindness. This kind of magic? Priceless. TSA PRE status? 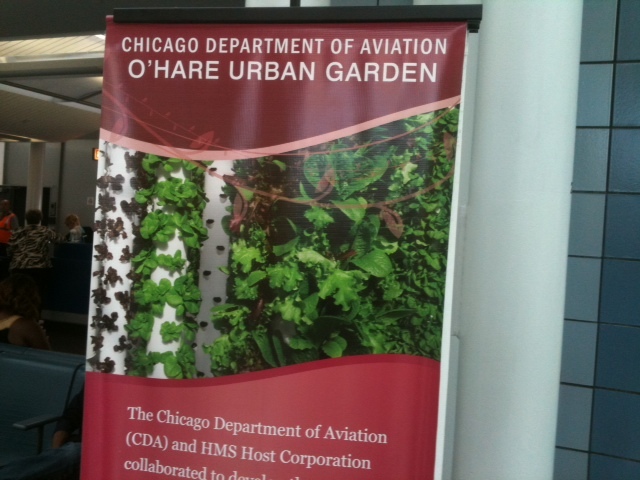 Did someone tell the airline I was writing about them? Here’s the caveat: After my recent blog about focusing on the positive aspects of being a passenger on a commercial airliner, a blog which came on the heels of my musings about why attending the People’s Climate March in New York City will make me happy, my friend George found the juxtaposition odd. He asked me how could I write about my passion for protecting the environment and then just a few days later write about the joys of airline travel, given that flying is about the worst thing we can do in terms of our carbon footprint? First, I am not a purist. I have made many, many changes in my life — using a clothesline, buying local, eating less meat, etc. But we are all products of the systems we live in. That is one reason I support a Gross National Happiness paradigm and the People’s Cllimate March — because we need new systems. Those planes would all have taken off without me on them. The problem is too big for any of us to fix by our individual actions. Second, I do take such issues into consideration. Two out of three of my trips to visit my daughter and granddaughter since they moved half a country away have been by train, rather than plane, for both economic and environmental reasons (the third was by car, and there were three of us in that car, so that seemed a fair choice). Truthfully, I’ve flown very rarely. My recent trip was only the 15th time I’ve flown. Ever. And I’m not that young. Third, I went to North Carolina for important relational reasons. Relationships are tremendously important, not only in terms of personal happiness but also to exchange ideas and help us all move forward. I shared tales from the Gross National Happiness movement, and learned much in return. One friend, for example, showed me a new pond she had dug next to her off-the-grid cabin. The pond is stocked with fish, to provide a sustainable source of protein for her family. For me, that’s food for thought. My point with the previous flying blog was not to encourage flying, but rather to encourage a positive outlook toward an incredible option in our lives that most people treat with grousing rather than gratitude. Really, the environmental concerns about flying only add to the need for a positive attitude when one does choose to fly. Choosing to have such a negative impact, and then complaining about it, seems particularly self-indulgent. If you’re flying, the least you can do is appreciate it! All in all, I’m grateful to George for raising this important point. Our individual choices can add up. I think the preponderance of organic choices in almost all grocery stores is testimony to that. Now, when I do fly, I feel even more duty bound to focus on the positive. 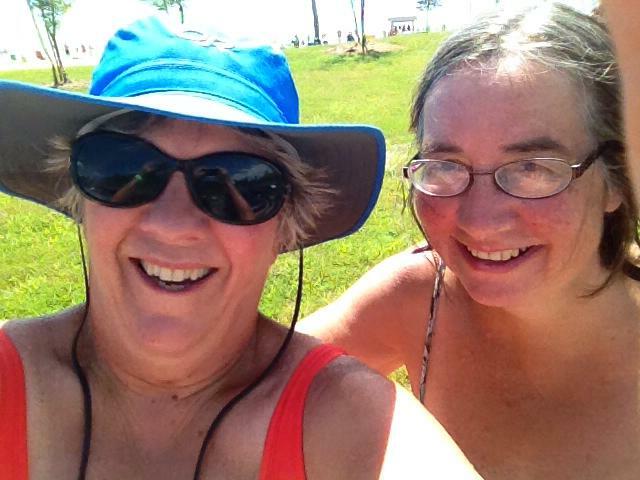 Swimming at a state park with my North Carolina friend Lynn! The positive framing of my flight to North Carolina was so powerful, I felt like I had changed my brain. I mean that quite literally. Thanks to neuro-plasticity, I probably did, at least a little. One of the mot impressive aspects of the education I’m receiving from Tal Ben-Shahar and the Certificate in Positive Psychology program at Kripalu is learning how seemingly small interventions can have a long-lasting, powerful impact. So it’s a strong possibility that I wore a new groove in my brain — the “flying is fun” neuro-pathway. Creating positive neuro-pathways is excellent for both our short term and long term well being. Plus, focusing on the positive absolutely made my flight to North Carolina a much more enjoyable experience. For those reasons, and because I wasn’t about to purposely focus on the negative, I decided to repeat my experiment to focus on the positives during the journey north. It was definitely tougher going on the way home. I was, after all, returning from vacation, which for me was a bit of negative double whammy. First, that meant it was time for some of the fun and games to end. Even more impactful, I was wrapping up a week of way more sugar, caffeine, and wine than usual, and, sometimes less sleep than I need. Thus I arrived at the airport tired, a little sad, headachy, slightly sick to my stomach, and dehydrated. Plus, it was not my happy little Burlington airport but rather the very busy (ie, stressful) hub airport in Charlotte. And I kept feeling that my time in the Smokey Mountains with my friend Jeannette — who I stayed with for the second part of my trip — just wasn’t long enough. 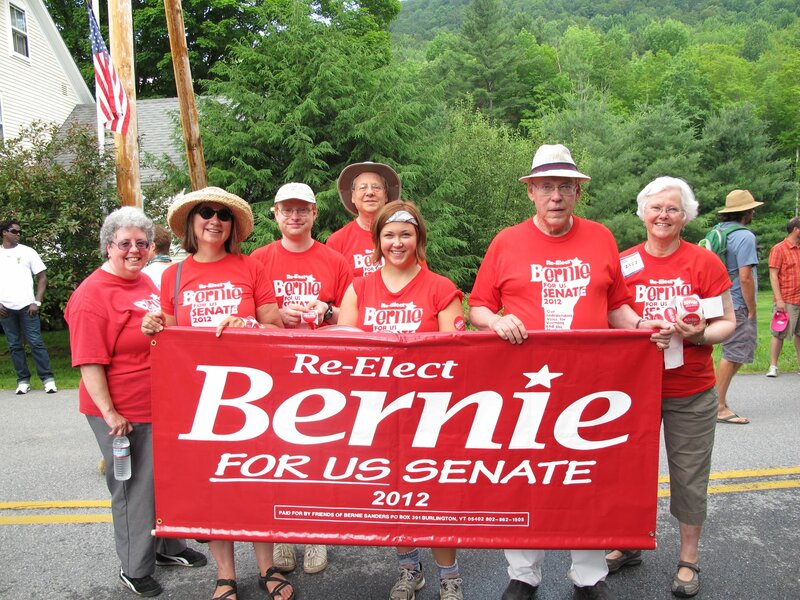 Aaaannnndd … I was headed home to my dear husband Bob and the Vermont I love so much — two giant positives. Maybe the ledger was even. So, time to start counting the positives for that journey. Jeannette drove me three hours to the airport — a six hour round trip for her! That is friendship. Yeah, that is a friendship that started when we were only 11 years old. Sweet. Not only that, on the drive there Jeannette shared with me invaluable insight and information about the publishing process — exceptionally positive for me because (you heard it here first) I am about to embark on the writing-a-book path. When Jeannette dropped me off at the curb (we were running late, no time for her to park), I felt like I won the air traveler’s lottery! I dashed up to the curbside check-in with no line at all where a very friendly airline employee took my bag and gave me a ticket smoothly and quickly. He then pointed to my boarding pass, and the letters “TSA-PRE.” He said, “When you get to security, go the TSA-PRE line.” I thanked him, and rounded the corner where there were long lines for all the security checkpoints — except TSA-PRE where the line was non-existent! I went up to the lone employee there and showed him my boarding pass. I said, “I don’t know why I was given this, I’m just an ordinary passenger.” He smiled, checked my ID, and sent me right to the X-Ray area where I started to take my laptop out of its case. I was told, no, no, you don’t need to do that. And, I didn’t even have to take off my shoes! I whisked through security in less than five minutes. Amazing, just amazing. I had a mini (mini, mini) happy “reunion” when my seatmate turned out to be the woman who had moved her bags out of my way to give me a seat in the gate waiting area. Lift off — thanks to my meditative mode — was an almost blissful sensation, one of gliding to the heavens. Outside the window, I saw a cloud formation that bore a striking resemblance to a cement lion, the kind that might guard a driveway, bridge, or la-di-dah front entrance. It was once again quiet enough for me to meditate. I was still feeling a little crappy, so it was harder to lean into that experience, but it was still okay — it’s good to try! I didn’t spill anything on my seatmate. I had consolidated my packing to make it quite unlikely that I’d lose my laptop again. 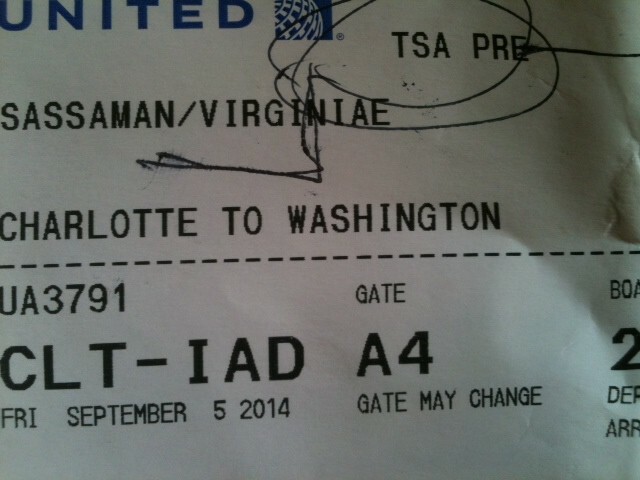 Hey, I learned something from my previous travels — woo hoo! Making my connecting flight was very stressful — barely enough time to get from my arriving gate to my departing gate, plus lots of unhappy looking people, and other sights I didn’t enjoy (like, rampant destructive consumerism). BUT I was determined to look at the positive, and I found it, especially in relationships. Adult children taking care of elder parents in wheelchairs, laughing children, people holding hands. There was a lot of love on display. I made my flight to Burlington! My seatmate was active duty military, a very conservative and exhausted fellow returning home from a long overseas flight. It soon became clear that our views on many topics were miles apart. Yet, we had a civilized and respectful conversation and, quite wonderfully, found ourselves in fundamental agreement on the concept of Gross National Happiness. Coming from opposite sides of the political divide, we agreed that measuring societal success solely based on money and materialism is unhelpful at best and destructive at worst. Further, he shared that his personal happiness is all about time spent with his wife and young children — family and relationships, just like the rest of us. We would never have had this very positive conversation without the airline throwing us together as seatmates. Finally — you may have guessed — my husband was waiting for me. We went out to dinner at a great farm-to-table organic localvore taco restaurant, and drove home through the lush late summer Vermont scenery. Aaaahhh … there’s no place like home! Home — which I am leaving again tomorrow morning, by train, to go to the People’s Climate March. There is no way I can count the positives for this trip — they will be uncountable, I am sure. 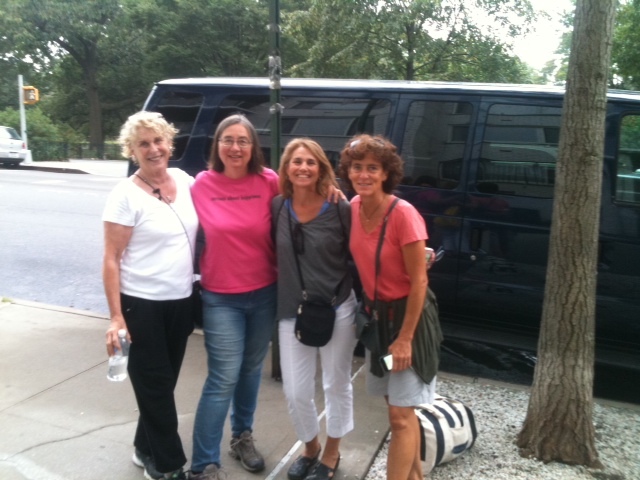 I am no longer nervous about going, as I am traveling with friends, and staying with another dear friend. No matter the trip, relationships are awesome. More on the Climate March later!